I used to have the sharpening steel to sharpen my knifes, and it is quite challenging and dangerous to do so, but it works. I would prefer to have a easier and safer way to sharpen the knifes, and then I found this knife shaperner from Etekcity. It is fairly small and light weighted. 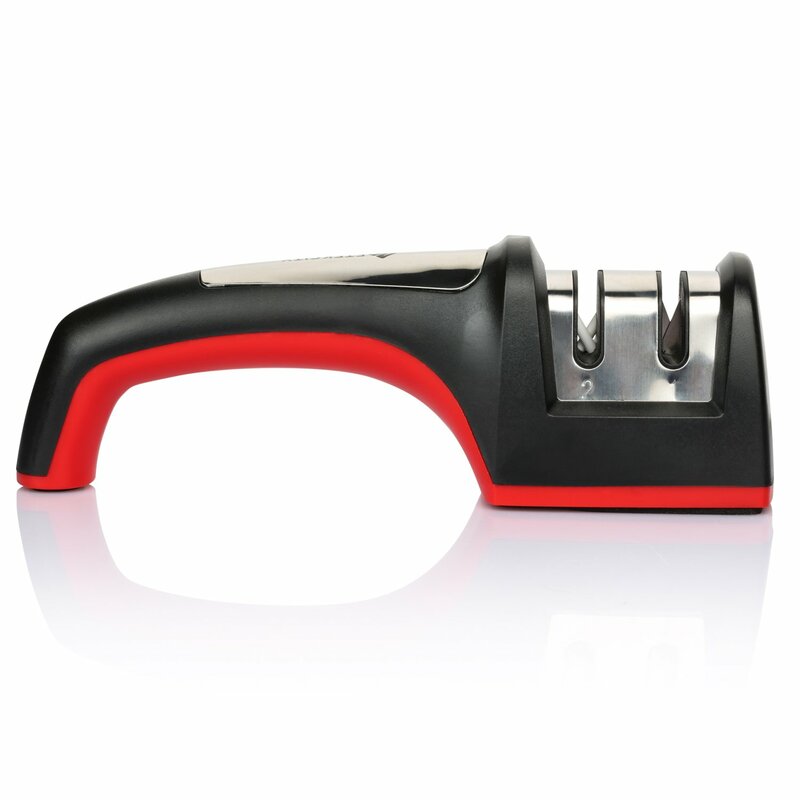 The grip is very well designed so that you can hold the sharpener tight while sharpening a knife. It serves well with both coarse and fine knifes. There are some pad attached on the bottom of it, preventing it from moving. Highly recommend this knife sharpener.